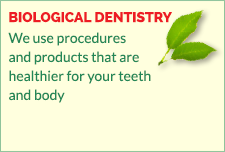 A biological dentist (or holistic dentist), uses complimentary treatments alongside the standard dental treatments. He does this by using techniques learned during extra schooling in those specialties. 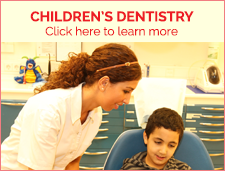 A biological dentist uses materials and techniques that are safer and friendlier to the body. He cares about the health of the whole body. It could be seen as a more natural approach using much less chemicals and in some cases dental techniques or remedies that are safer or healthier. We do conventional dental treatments, fillings, crowns, etc., BUT we use safer materials and treatments that help the whole body. Dental techniques that many take for granted can actually cause harm to a person’s health, such as amalgam fillings, which contain mercury, many common dental anesthetics and the use of fluoride. Additionally, we use certain alternative treatments and remedies that not only are healthier for the body, but also promote faster and more complete healing and less pain. Silver amalgam fillings contain a large amount of mercury. Mercury is one of the most poisonous elements and is extremely dangerous to your health. It has been proven that these so called “silver fillings” release small amounts of mercury vapor into your body on a regular basis. You can see this on the video called smoking tooth on our amalgam removal page. All our fillings are made from composite resins or porcelain. These are white and not only are they safer but much more attractive. And these days a properly made white filling can last a long time. We have picked top quality composite filling materials which contain less toxins. We are very experienced with amalgam removal. We specialize in safe amalgam removal using high-efficiency suction and a special clean up tip to capture harmful mercury vapors that are released while your old amalgam fillings are removed. We have chosen to use safer anesthetics. We are concerned with the growing number of reports about side effects of anesthetics used by most dentists. Thus we have chosen to use less poisonous anesthetics that leave your system rapidly, (you can ask the dentist or send us an e-mail if you wish to know which anesthetics we use). Don’t worry; these work perfectly well in ensuring that you don’t experience pain, it just means that there is sometimes a few minutes wait for it to become effective. We use tried and tested treatments that result in faster healing, less after- pain and less need to prescribe antibiotics and painkillers. Dentist René has various products and techniques available to best help the patient . His aim is to effectively handle your mouth without unnecessarily damaging it, or your health. It is well known that antibiotics when overused can cause many health problems, so we avoid their use wherever possible. Over the years Dentist René has seen excellent results from these treatments and products. We use alternatives that have no side effects, such as calendula (a powerful healer and natural way to handle infections), colloidal silver and other agents. During extractions a thorough clean out of the tooth socket is done to avoid problems not only in the area, but also in the rest of your body. We use homeopathic remedies that are specifically for dental treatments and lessen bruising and other problems common in dentistry. These remedies have absolutely no side effects and are completely non-toxic. We also use a high tech soft laser for helping with healing. It is not to be confused with a hard laser that is hot, this is a cold laser. The soft laser sends out much lower energy beams that help expand your blood vessels, thus providing a way to quickly restore the flow of oxygen to the inside of your teeth and bring more life back to the injured cells. The soft laser helps to reduce inflammation and heal wounds more rapidly, without any adverse effects. Tandarts Inna Popova shows a patient how the soft laser works..
By using less chemicals and drugs we are contributing less to the ever-increasing amount of these items that are finding their way into our water systems. Another important fact, that has recently been recognized by the United Nations Environmental Program is that mercury vapor is being emitted into our atmosphere when a deceased person with amalgam fillings is cremated. 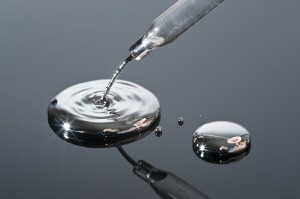 Mercury that is released into the environment cannot be retrieved. By removing amalgam and not using amalgam this is prevented. Amalgam that is removed here is safely filtered and carefully collected in specially approved containers that are picked up by an environmental cleaning company. We also use perfume-free products and environmentally friendly products for cleaning our practice. One of the fastest ways to absorb anything into the body is through the mouth. Thus we recommend toothpastes made with natural ingredients and without fluoride and foaming agents. Most toothpastes contain chemical sweeteners and foaming agents that are toxic. 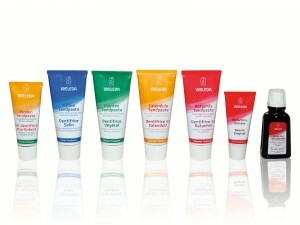 We recommend toothpastes made by Weleda for example, and we sell them in our practice. Mouth washes also contain chemicals but there are natural alternatives. Supplements can help the body fight infection and help to strengthen teeth and improve the condition of your gums. You can ask your dentist what he recommends.